An entry a day, keeps the mind-doctor away. Something wise for us to learn, to reflect, and to ponder. UPDATE: you will also get cash on the spot, if you go through the scrap brokers (quotz). The LTA scrapyard process will net you a cheque a few weeks later. 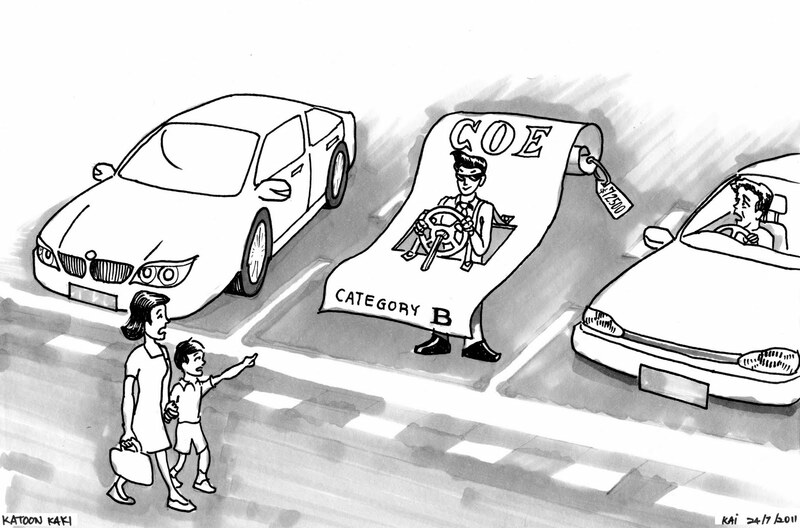 Singapore cars are only allowed to have a 10 years COE, after which, LTA would allow you to extend 5 more years, for a pro-rated price, or you have to scrap the car. When your 10 year COE is up, LTA will send you a transaction pin and allow you a few options to de-register your car. Good news is you can get a few bucks from de-registering your car. If you are trading in your car to an Authorised Dealer, chances are You can TRADE IN your car. If you are not going to buy a new car, or has to deal with a Parallel Importer, you may have to DIY to deregister to scrap your car. or b) sell to a broker to export your vehicle out. Keep the transactional pin that LTA will mail you early. Obtain a Transaction Pin. * Please click here for more information on Transaction PIN. (iv) Road Tax Fees (if the road tax is outstanding at the point of vehicle de-registration). Land Transport Authority (LTA) will notify the last registered owner of the vehicle's de- registration, the details of any PARF/COE rebate(s) and/or arrears of road tax/late renewal fee(s), if applicable. For Option B, it is potentially more rewarding. Do not wait till the last few days to export your car, the lesser days, the more rush for the secondhand dealer, and he will not offer a better price. Just key in your information, they will find the best export company that wants to take your car, Within a day, a lady from Quotz called me and quoted me a price that is higher than the LTA deregister values. From what I know, it is the best possible price. I accepted and the dealer will call me directly. The dealer did and I agreed to a date to send the car. However on the actual day, due to work, I did not drive to the company in the end. And I learnt that really cannot wait till last minute. I waited till left 4-5 calendar days, and called up the dealer again. This time he refuse to take the car as it was too rushed. For the new dealer, instead of driving to his company, he asked me to just drive to the open carpark opposite LTA (10 Sin Ming Drive, Singapore 575701). After all, it is still a better price than LTA deregister at DIY.